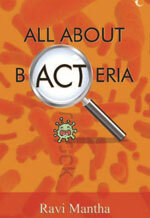 Did you know that 90 per cent of our body’s cells are bacterial? Or that the bacteria that cause meningitis live in our body all the time, without troubling us at all? Or even that life as we know it on earth began because bacteria rode into our world on an asteroid? Health activist Ravi Mantha explains that, in order to remain in the pinkest health, we need to understand and maintain the human ecosystem – which includes looking after our bacteria.